The operators Telefónica, Orange, and Telenor represent the telecommunication industry in the VISION Cloud project. Together, they provide a telco-oriented use case, which provides feedback and requirements to the work on the reference architecture being developed. The use cases are developed based on the challenges and opportunities that are identified that relate to storage and mobility technologies. The use cases validate the reference architecture of VISION Cloud based on prototype tests and experimentations that enable the use case to be evaluated in scenarios. Telecommunication industry challenges are being addressed by the advancements made in the VISION Cloud project iterations, which takes the inputs from the telco use case and other use cases into consideration. 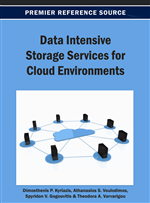 This chapter is a study in the telecommunication industry challenges and possibilities with respect to the cloud storage technology advancements made in VISION Cloud. Telecommunication operators (telcos) are witnessing declines in revenue due to lower ARPU (Average Revenue per User) in their traditional markets as a result of that the willingness to pay for communications is declining. The loss of income from voice is not offset by the increase in data traffic volume. At the same time IT business and Internet companies are taking traditional telco market shares as a result of the convergence of voice and data communication. The competition from Over-the-Top (OTT) service providers is expected to increase with a higher penetration of mobile broadband. Smart phones give access to services on the handset, services that no longer are controlled by the telco, but made accessible through the device manufacturer. Telcos are left to have some services preloaded on devices they sell to customers at subsidized prices. OTT players challenge not only the traditional voice revenue, but also content related services are seen as a threat. New positions in the service delivery chain and novel service offerings must be exploited by telcos in order to avoid being reduced to a simple bit provider. (Green, 2012) states the impact on revenues to be considerable, nearly $500 billion in lost revenues over the next eight years. Prices will continue to fall as the markets mature and become saturated. Data traffic will be increasing in the coming year, but revenue from that traffic will not offset the decline in voice income (Telco 2.0, 2012). The Internet age has value chains and payment models that are an ill fit with traditional telecom models. OTT players that play nice with the telco operations are of interest to protect the revenue streams and can also extend existing offerings. One option is to establish cannibalizing OTT operations that can be controlled and take otherwise lost market shares that competitive OTT would have taken. Equally important, telcos must utilize their strengths and enhance their networks in order to offer something more than the competing OTT providers are capable of. The combination of smart networks and cloud services will be one area where telcos offer a superior service. Cloud computing has indeed been embraced by many telecom operators lately, whether the cloud services are produced and delivered by the operator itself or through partnerships. The telco network is an important asset in both of these cases and telcos can provide an end-to-end cloud service that pure IT cloud providers are not able to do. The shift in source of future revenue requires telcos to invest in adapting their infrastructure. This requires a significant engineering effort with people with the right qualifications. Telco background may be seen as not optimal for the new age of mobile applications, and right people are hard to find. Traditionally new telco services are slow to get out to market, but with the new mobile application platforms such as Google Play and App Store has significantly reduced the Time to Market for services.